Liposuction is one of the most popular forms of cosmetic surgery in the US. Hundreds of thousands of women each year undergo this elective procedure, with varying results. While lipo is an option for many women, Marla Ahlgrimm cautions against any body sculpting procedure for women who plan to become pregnant in the near future. Q: Who can perform a liposuction procedure? Marla Ahlgrimm: Any licensed physician in the US may offer liposuction. However, it is most commonly executed by a dermatologist or plastic surgeon. It is also important to note that there is no federally required standardized training program for doctors who offer lipo, though such training is recommended by most physicians’ professional societies. Marla Ahlgrimm: Infection is the number one risk of most cosmetic procedures. With liposuction, there is also a risk of swelling, scarring, burns, nerve compression, and fluid imbalance. More serious is the potential for puncture wounds and skin necrosis. Marla Ahlgrimm: That depends on the lifestyle choices of the patient. Lipo is not advised for women who plan to become pregnant, since the skin around the belly can stretch. It’s much more effective to wait until a woman is finished having children before paying thousands of dollars for a cosmetic procedure that might not have lasting results. As well, keep in mind that lipo simply removes fat. 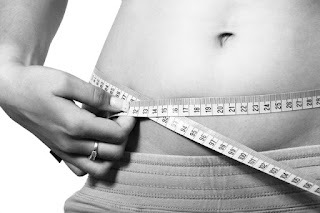 It is not a weight loss procedure and may leave the skin with a “saggy” appearance. Weight gain may lead to the reappearance of fat deposits. Q: Are there alternative procedures for removing stubborn belly fat? Marla Ahlgrimm: Laser liposuction is available in most major cities, and that procedure actually offers some marginal skin tightening benefits as well. The most viable results are from a change in diet and a strict exercise routine that targets the area of concern.